The Upper level management of any organization has the longest hours and toughest jobs. 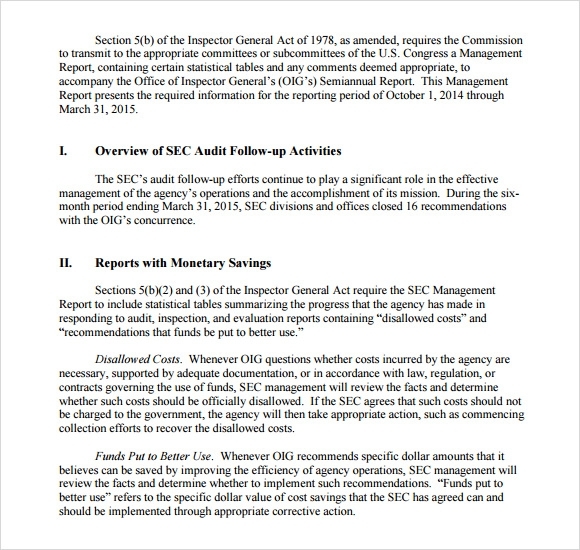 In addition to these long an exhausting hours they are expected to maintain and submit management Weekly Reports. 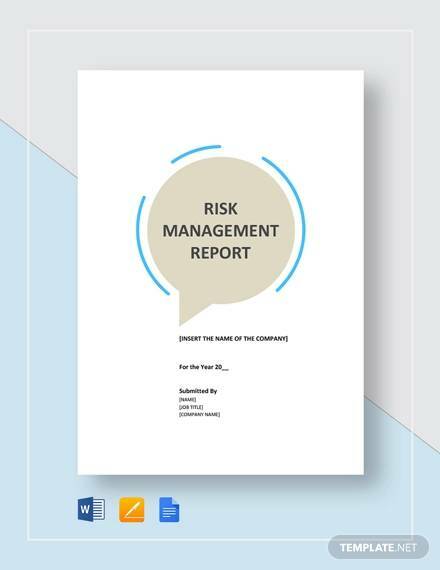 In order to simplify their work we have created a large variety of smartly and cleverly designed management report templates. 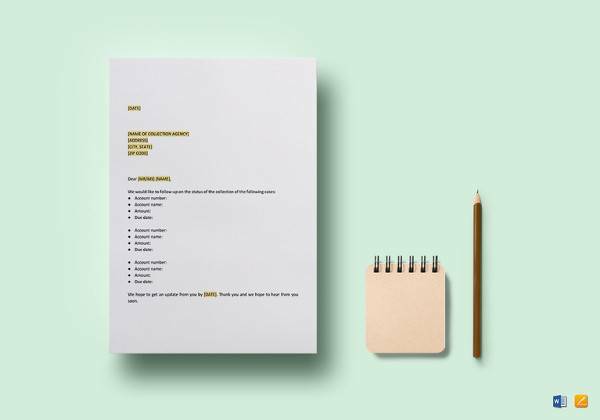 These example templates come in a variety of formats and are absolutely free. Just select and download the sample of your choice, fill it in and print it out. 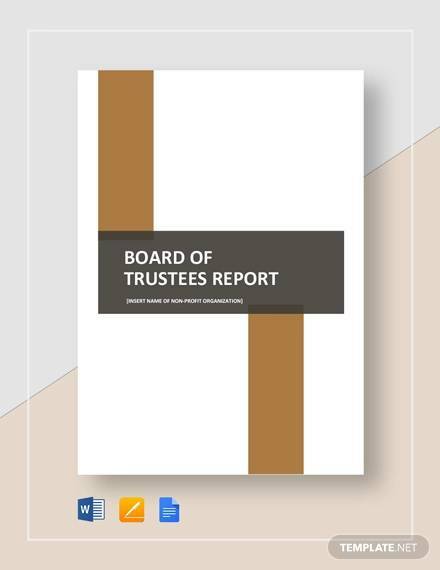 Keep these reports handy for board meetings and directors meetings. 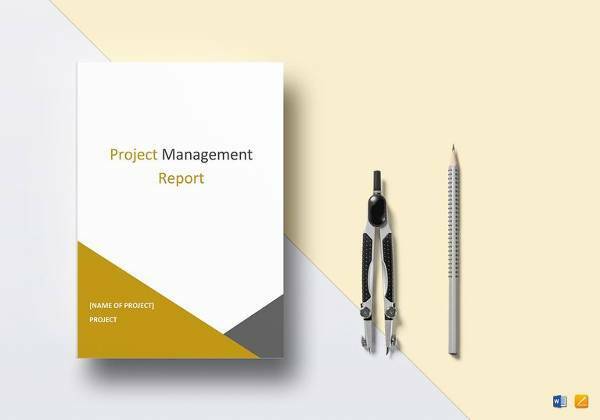 The project management report template enables an individual to prepare a project management report which is considered one of the most important documents for project managers. It helps in showcasing the project benefits and scope. 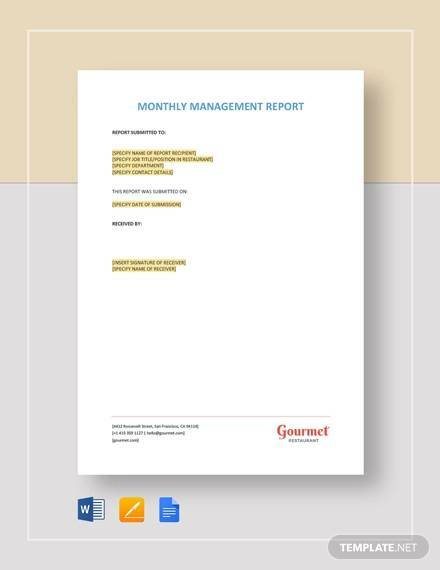 The monthly management report template can be of good use to the ones who find themselves stuck in preparing monthly management reports. 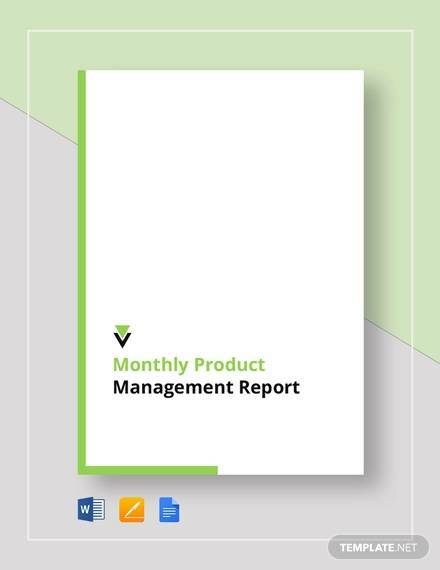 This template helps individuals with their monthly management reports on a monthly basis. 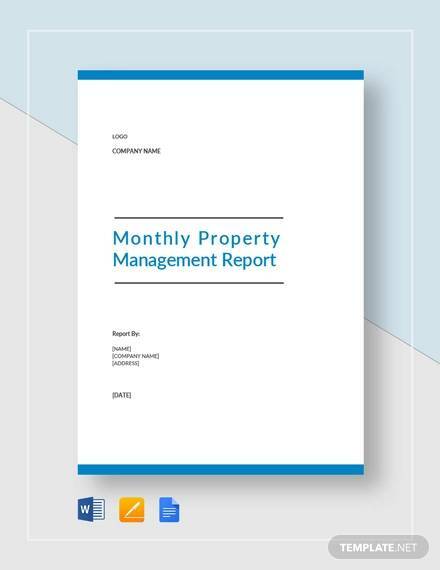 The management report template helps in writing the monthly report. 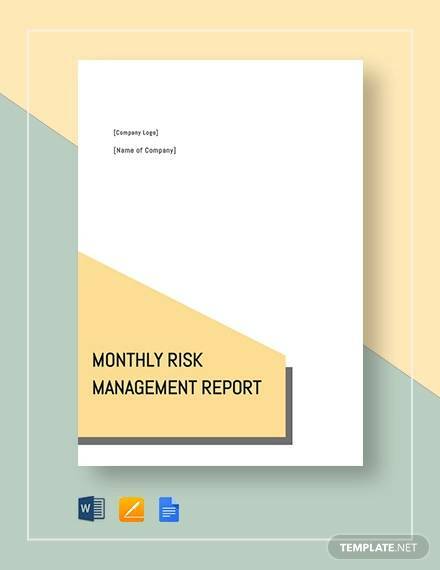 A monthly report is considered one of the most effective and the safest ways of communicating business related information and details with the other professionals and business entities. 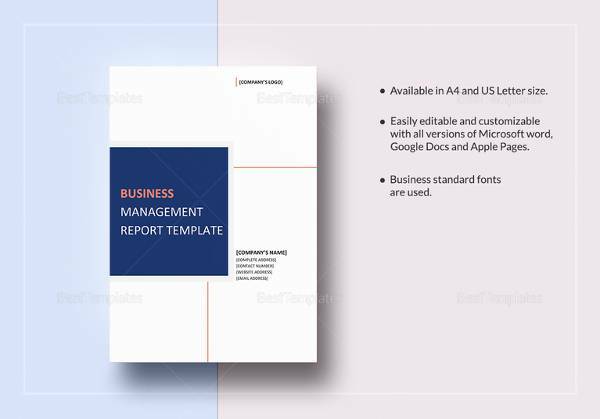 The sample management report template like the other management report templates helps in showcasing the management reports of a business without going through any kind of hassle. 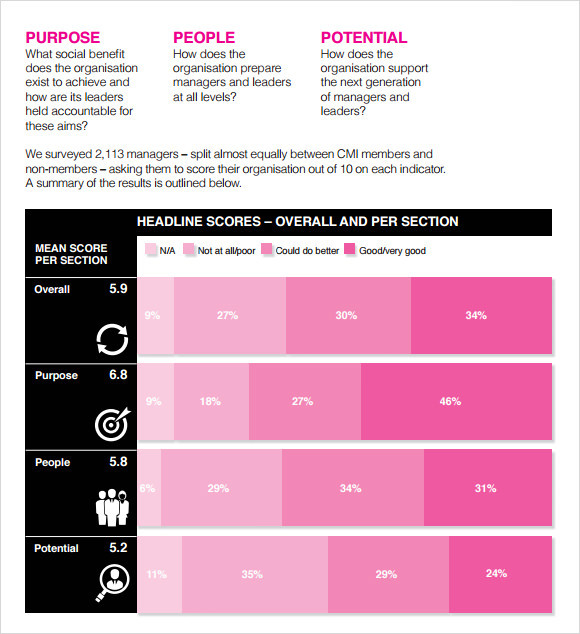 It can be used a sample for coming up with the best management report. 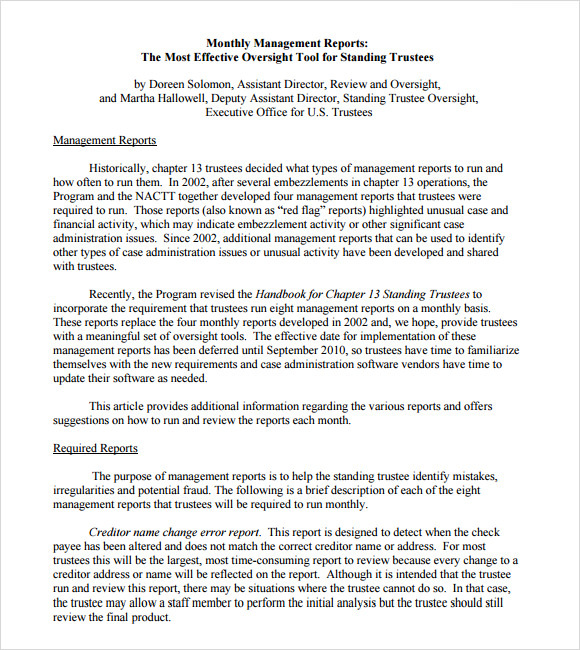 Why Do You Need Management Report Templates? Writing a management report is a kind of business writing which might turn out to be a little difficult for the business professionals. The business world is a place where you need to use the knowledge that you gained in school but at the same time you should also have the knowledge of writing the best business documents. Your business writing must have fresh content so that people can have a good grasp of the document. 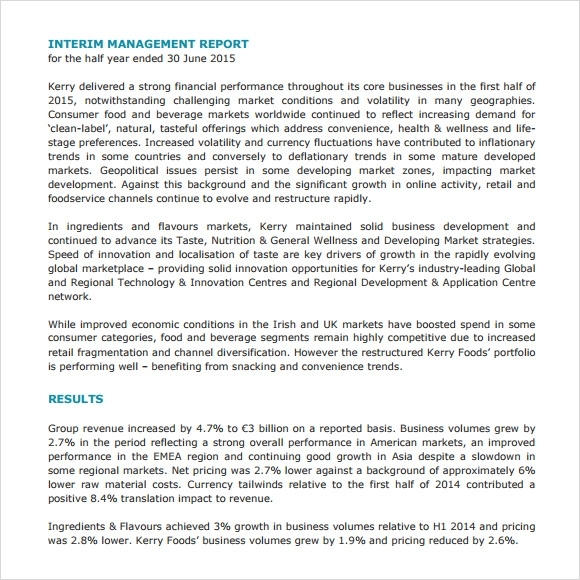 Management Report templates can be of good help in completing business writing tasks. 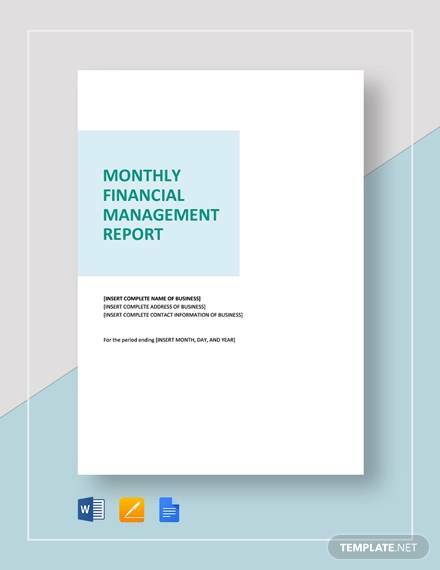 These templates are needed when professionals need to go through the intimidating task of creating official management reports on a monthly basis. 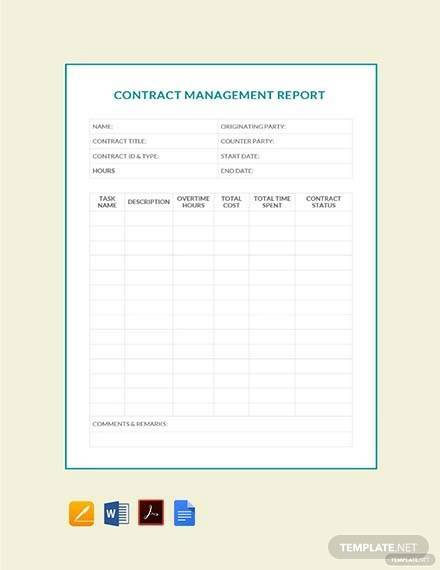 When Do You Need Management Report Templates? 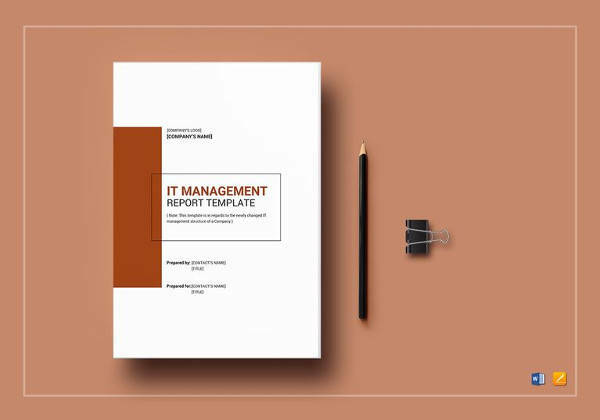 Management report templates are needed when business professionals do not have any idea about the type of information that they need to include and the type that they do not need to include in their management report. 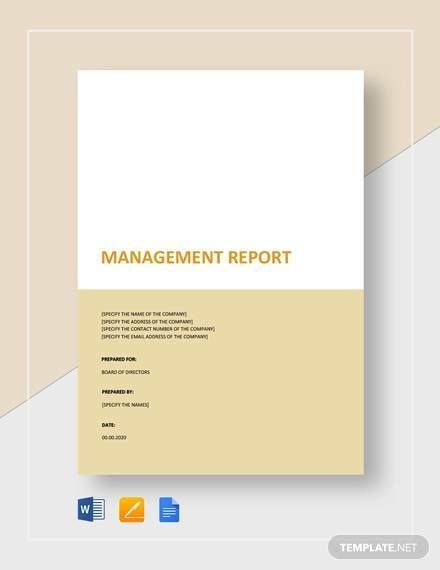 For the ones who are still new or the ones who are still a little apprehensive about making a management report, the management report templates can be of good use. 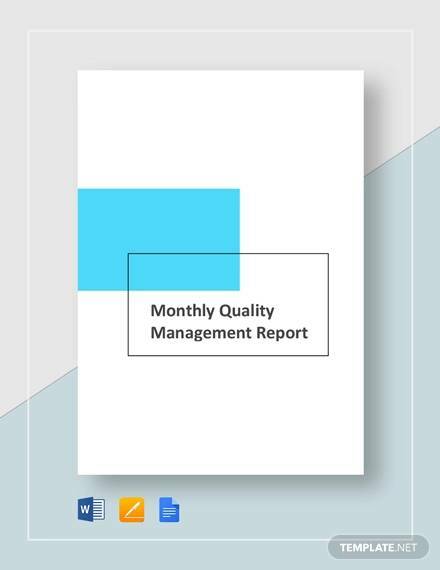 Management report templates can be energy and time saving materials that can readily be used in printable quality for creating the best management reports. 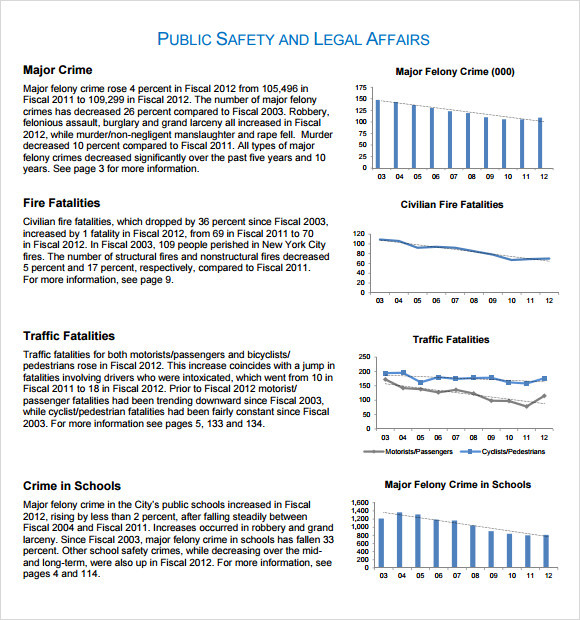 What Are the Benefits of Management Report Templates? 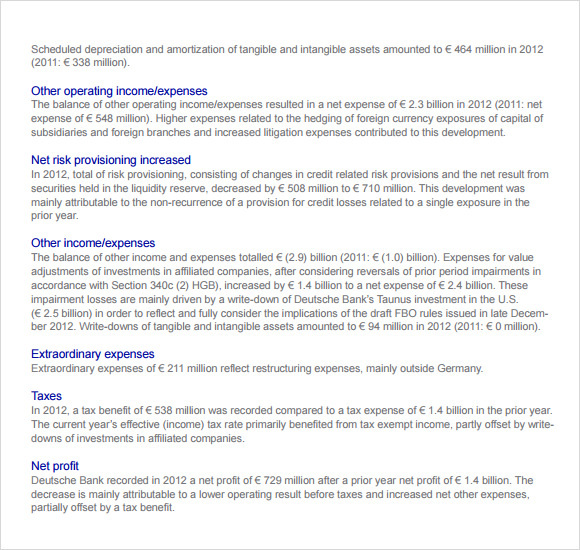 There are some large scale benefits of using management report templates. 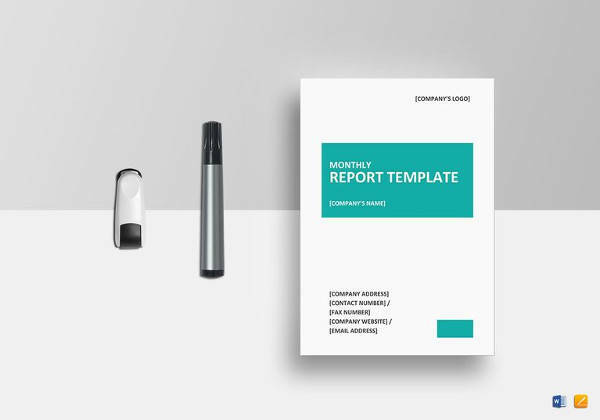 The effective use of these templates can help managers in reducing the amount of time and energy that they put into creating management reports. 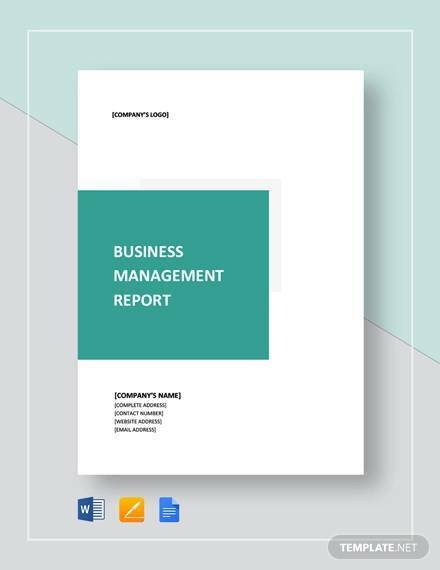 Management reports are generally a complete summary of different activities carried out in a business. But most of the times managers miss out on some important details to be included in their management reports. 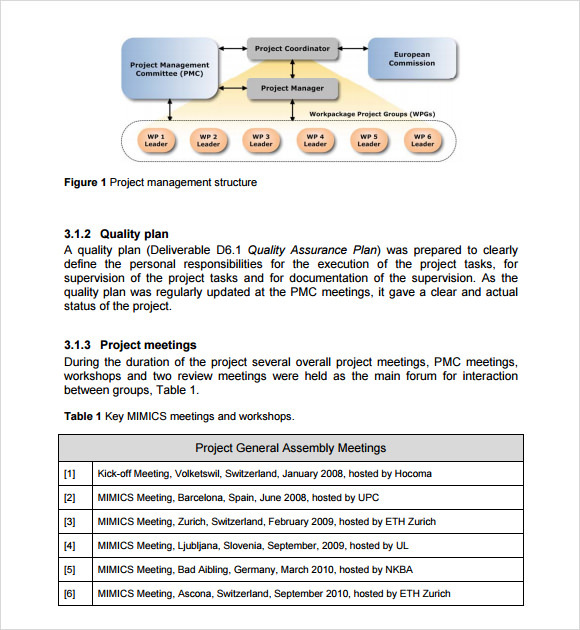 The use of management report templates can help in avoiding such mistakes. Business writing should be kept clear and brief. This is important because it helps in shortening the time that is used in carrying out research and in formulating. It also makes it very easy for the managers because there is very little time consumed in extracting information. It also helps in saving a good amount of space. 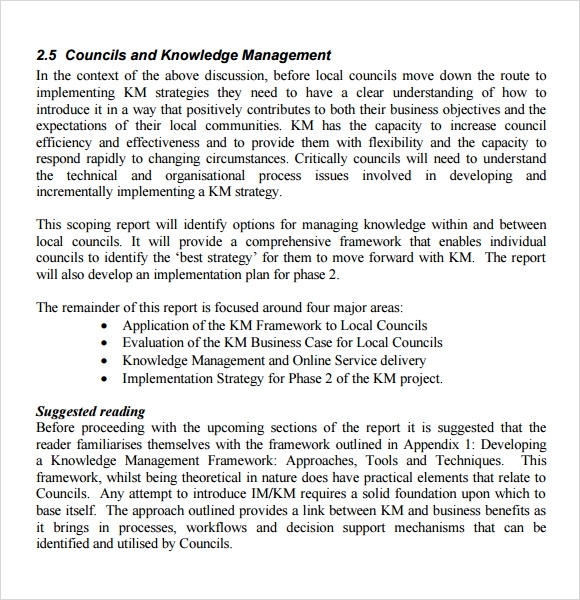 For improved guidance, managers can always make use of management report templates.